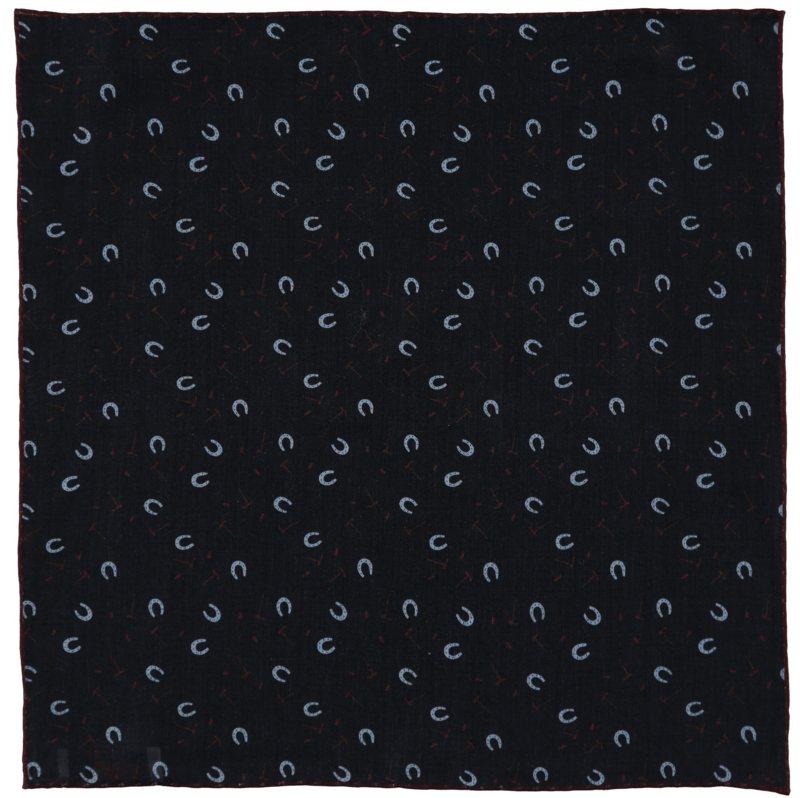 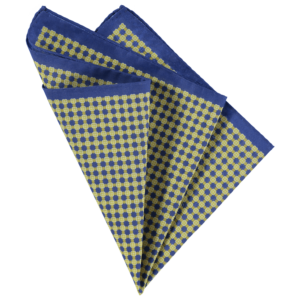 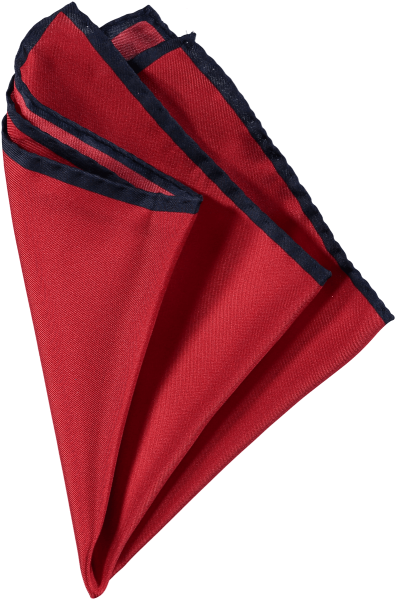 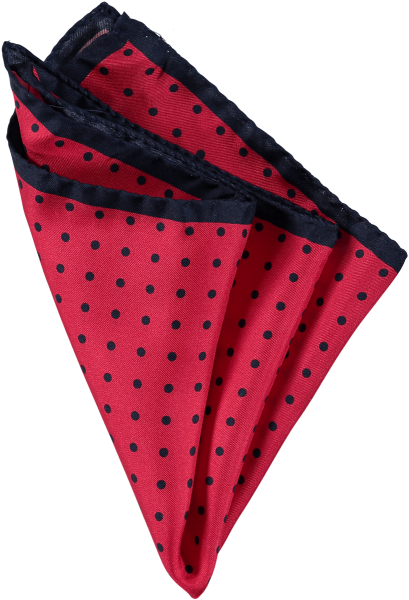 Wool/Silk blend patterned pocket square in navy blue, sky blue and red. 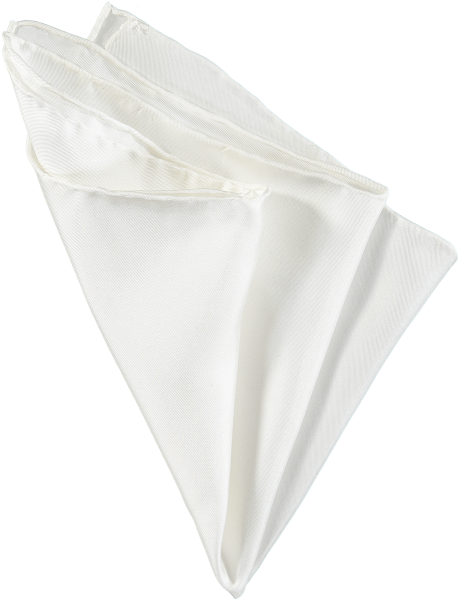 Printed with a repeat horseshoe design, this wool and silk blend pocket square has a distinctive equestrian feel. 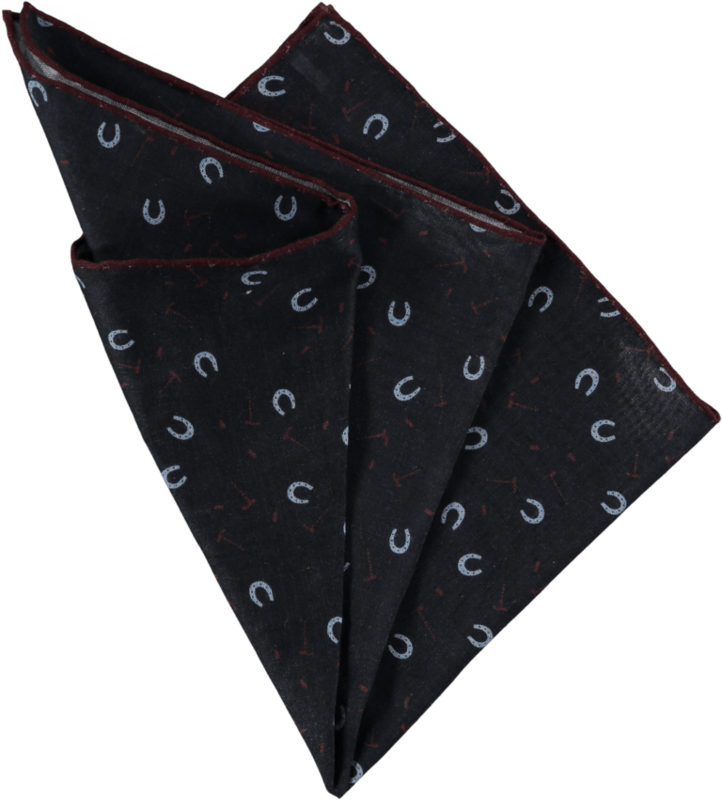 Hand made in England, with a contrast palette of blues and reds, when it comes to smart dressing this pocket square will sit perfectly in any chest pocket.